Make yourself at home at Ashworth 507 when you book an amazing North Myrtle Beach, South Carolina luxury vacation at this oceanfront resort. 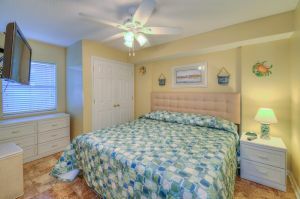 This luxury vacation rental in North Myrtle Beach, South Carolina is in a great location and features some terrific amenities. Your fifth-floor condominium at Ashworth Resort puts your family just a few levels above the oceanfront pool deck. 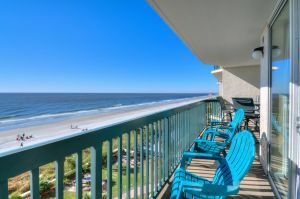 From your private balcony at this luxury condo in North Myrtle Beach, SC you can easily see the loop that the lazy river makes while also eyeing the sparkling swimming pool. A shallow kiddie pool is nestled beside the hot tub on this resort pool deck, so there is obviously something for everyone. Grill up your fresh catch of the day at the picnic area where picnic tables and charcoal grills encourage you to come outside to cook a meal for your family. Do a little cardio workout in the fitness room at Ashworth Resort and go for a refreshing swim in the indoor swimming pool during your vacation at Ashworth 507. 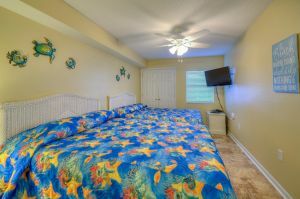 Your memorable North Myrtle Beach luxury vacation at Ashworth 507 will also be a comfortable one because of all the furnishings found inside this condominium rental. 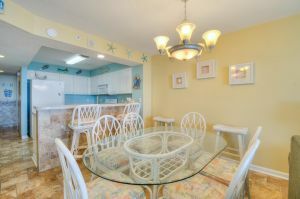 This vacation condominium has three bedrooms and three full baths. 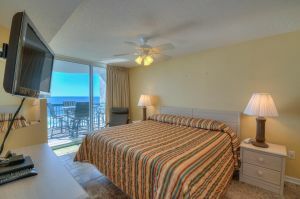 There is plenty of room to enjoy an oceanfront vacation in this condo rental. Bring your laptop because WIFI is available, which makes it easy to make dinner reservations, secure a tee time and read reviews about nearby amusements and attractions. You might also want to bring your favorite movies because there are DVD players in this luxury vacation rental. 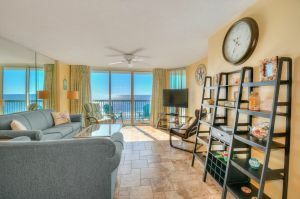 A washing machine and clothes dryer are magnificent conveniences to have at your fingertips and such appliances come in your private oceanfront condominium. Ashworth 507 is within walking distance of Main Street where you can shop and eat. And just around the corner from this oceanfront resort are water sports, championship golf courses, Restaurant Row and Alabama Theatre. Visit Barefoot Landing and check out the entertainment calendar for House of Blues when you make vacation reservations for Ashworth 507.